The name 'hybrid bike' is used to describe a wide range of bike styles, from city & commuter bikes, to fitness and leisure bikes. They're one of the most versatile, practical, comfortable and affordable ways to travel. Hybrid bikes with step-through frames, luggage racks and mudguards are popular with inner-city cyclists. Their sit-up-and-beg riding position is nice and comfortable, and with stylish designs & colours you can look great and feel great when you ride. 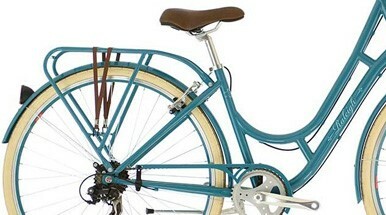 This leisure-style of hybrid bike is also popular with weekend explorers too. Their wide tyres and comfy saddles make them excellent bikes to ride on canal tow paths - perfect for a rural getaway. Hybrid bikes can also be more sports focussed as well. Fitness hybrid bikes are more comfortable to ride than dedicated road bikes and are perfectly suited to back-country cycle lanes. Popular options include suspension forks, disc brakes and mudguard & luggage racks, making these bikes ideal for cyclists looking speedy bikes for the daily commute. For extra performance, some models come equipped with sporty mountain-bike style gearing. 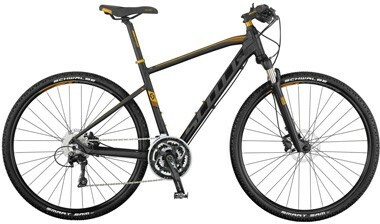 Hybrid bikes are a lot more affordable than road and mountain bikes. Because they're not designed for pure performance, it's easier and less expensive to produce lightweight and reliable bikes. With a hybrid bike, you don't have to do as much maintenance, and it doesn't have to be done so regularly. There are no complicated suspension systems or delicate carbon frames to worry about, just keep it clean and oil the chain. Hybrid bikes are built around a comfortable riding position. Even the sportiest fitness bikes still have flat handlebars and upright geometry to take the strain off your back & arms. If you're riding to work, to the shops, or just for an afternoon's leisure, hybrid bikes are the easiest and most relaxed way to cycle. 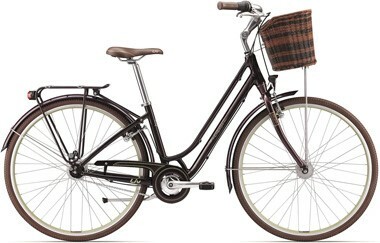 Classic hybrid bikes are the most relaxed and stylish way to get about by bicycle. Their geometry is super comfortable, and often models have step-through frames making them easy to mount. Components are reliable and low-maintenance, with optional items like suspension, adjustable handlebars, mudguards and luggage racks. 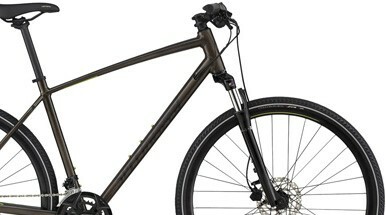 Sport hybrid bikes combine a swift and speedy bike with a comfortable ride. Frames are lightweight and responsive, with options like suspension forks, disc brakes and mountain-bike gearing. Some models also come equipped with mudguards and luggage racks, which can be retrofitted to most other models too.